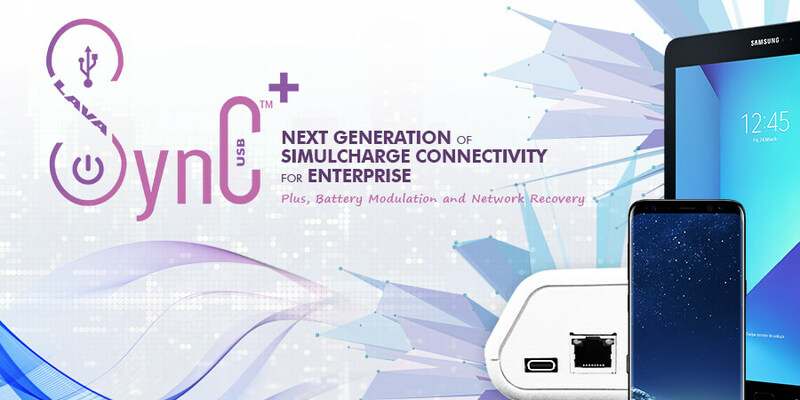 The LAVASynC+ 3U is the second generation of our SimulCharge adapters and is designed specifically for USB-C type Samsung mobile phones and tablets. This adapter provides a complete connectivity solution by using our custom SynC™ technology to simultaneously charge and support USB peripherals while they are connected to a mobile phone or tablet. Featuring 3 x USB 2.0 Type A ports with Battery Modulation to protect the mobile device from overcharging. The LAVASynC+3U adapter is ideal for 24/7 mobile commercial application. Available with an optional built-in voltage converter that allows an external 9V up to 36V DC power supply to be placed up to 50 feet away from the tablet. To order, please call +1 800 241 5282 or contact us HERE for availability. 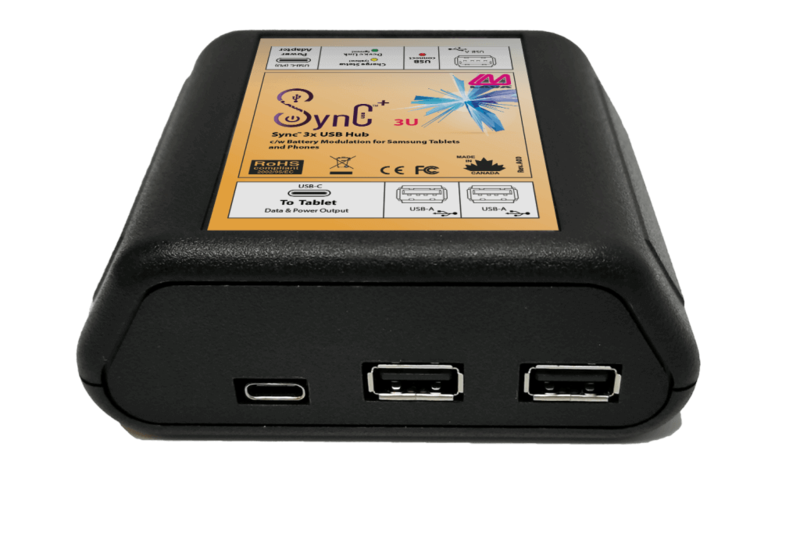 The LAVASynC adapters operate a mobile device in SynC mode. This technology allows the charging of the select USB-C type mobile phones and tablets while interacting with USB accessories. LAVA adapters allow a mobile device to be integrated into a kiosk installation with multiple USB device such as magnetic card readers, NFC readers, printers, barcode scanners, keyboard, and other USB-enabled peripherals.